An artwork is the ultimate personal statement, first and foremost by its maker. After completion, however, a work of art goes on a journey to meet the public eye. But how does this journey evolve and who are the important decision makers that determine the course of this journey? Between October 2008 and April 2009, a series of symposia called: ‘Rotterdam Dialogues: The Critics, The Curators, The Artists’ were initiated by Nicolaus Schhafhausen. The symposia offered an extensive update about where and how the curator fits into the process of the journey. Hans-Ulrich Obrist published ‘A Brief History of Curating’, consisting of eleven interviews with significant curators. 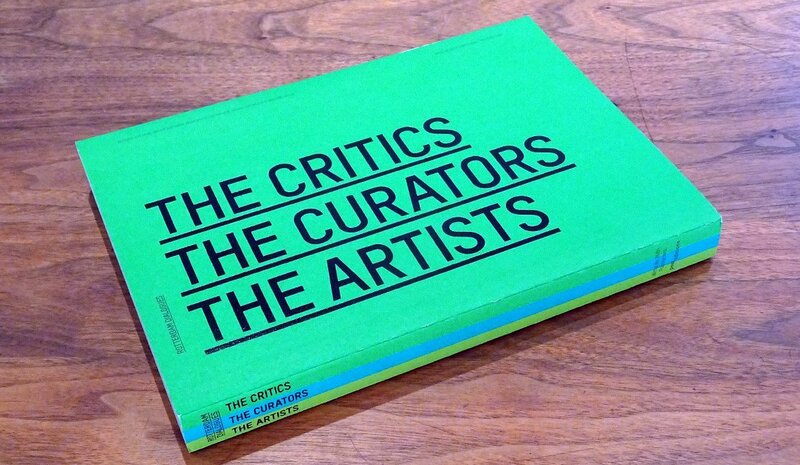 The book covers a large chunk of the discourse on the role of the curator. A curator has to have an keen eye for detail and a passion for staging artworks by accumulating knowledge, critical theory and curing out a ‘view’. Because of a vision the curator creates interest in the exhibition, the chosen subject, the presented artworks and the artist. All with the purpose to reach a wider audience and to present his findings on the researched subject. Through his exhibition, a curator shares his research with the public. Often it is accompanied with a publication or a catalogue. In preparation of an exhibition, the curator makes decisions regarding the theme-setting, which artists to invite and what artworks to select and how to present them. Of course the curator collaborates with others, and – when they are still alive – with the artists. But in most cases, he is not a member of a crew. The course ‘Who is the Curator?’ is an onset of departure for everyone who wants to sharpen his or her approach to exhibition making. Interested? Check the course information below. With the course ‘Who is the Curator?’, we start a new programme on curatorial skills and map out the tasks that come down on a curator. We immerse ourselves into the role the curator plays in the process of exhibition making. We dive in from different angels to clarify the importance from the viewpoints of those involved: artist, gallerists, collector, institute and others. In addition to this, we also focus on the craft of the curator as a maker himself. Besides the theoretical pantheon, which we would call his habitat, we take a swift look at the rules of the game to define the playing field of crafting out a new exhibition. Foremost we try to set sail on the proper process of making, how to engage, dig out a subject, a setting, finding an approach, the mapping and planning part, doing your research, and more. Course participants are asked to produce an ‘exhibition proposal’ for Project Space Tilburg. Every year we select a curator who is awarded the opportunity to execute the exhibition proposal. Are you a curator or active in contemporary art, and do you want to contribute? For example by sharing your knowledge, writing a guest blog? Or would you like to support us financially? Do not hesitate to contact us and team-up.